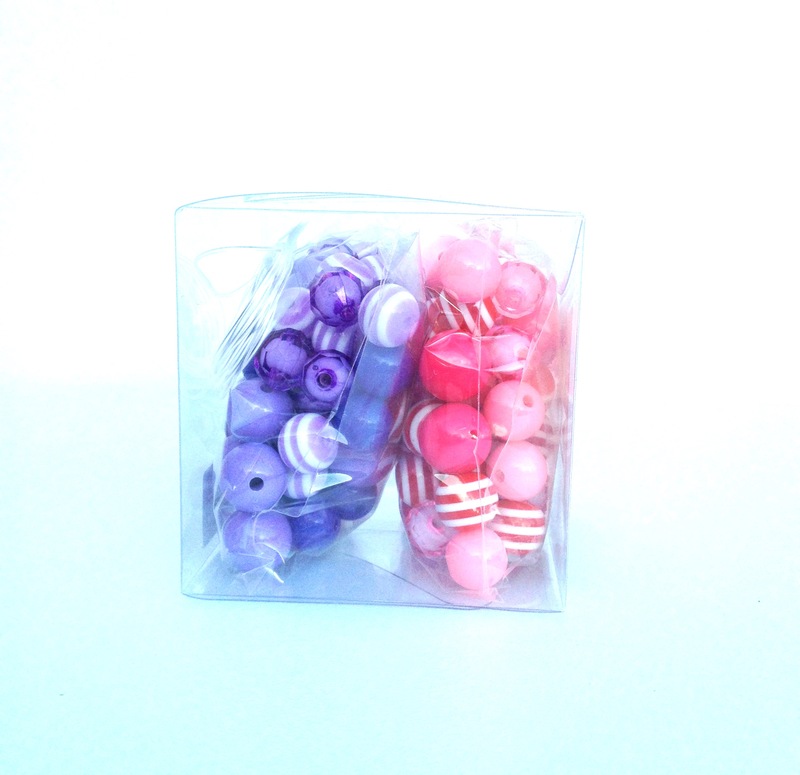 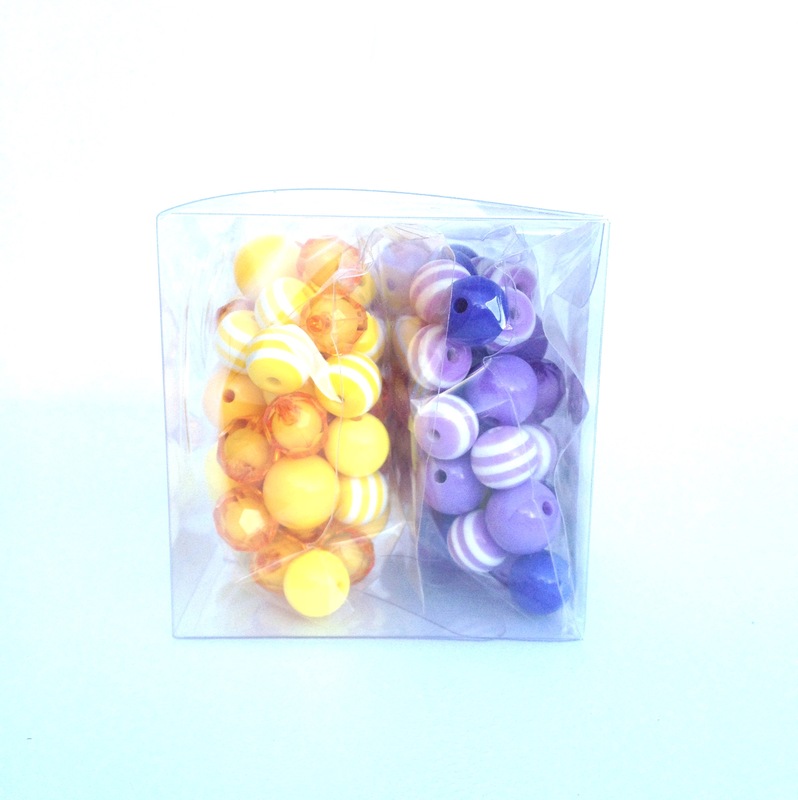 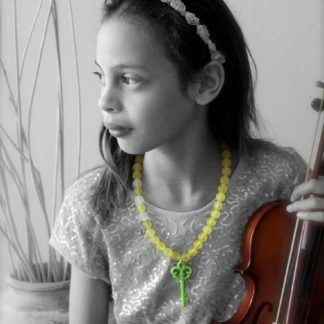 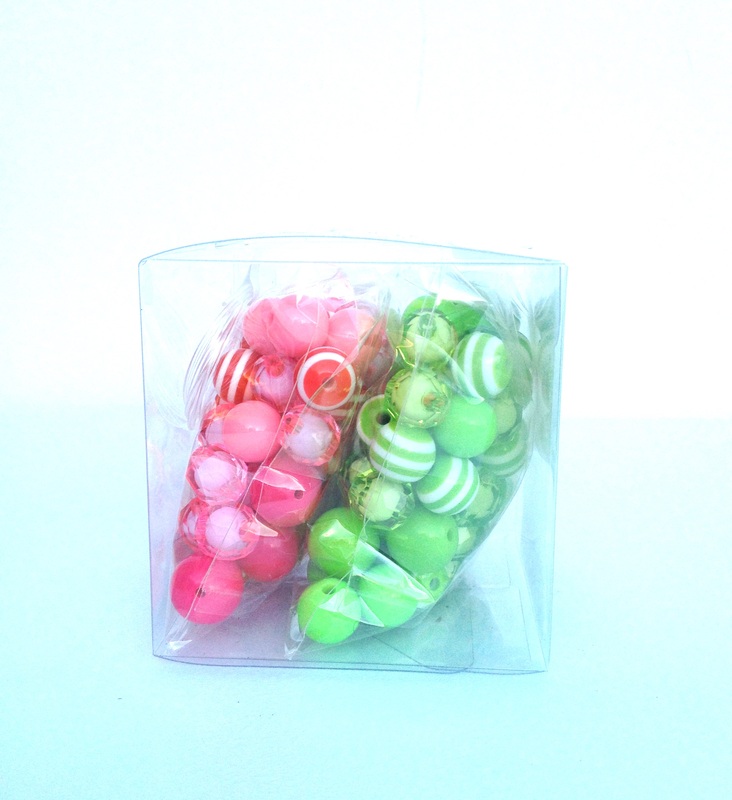 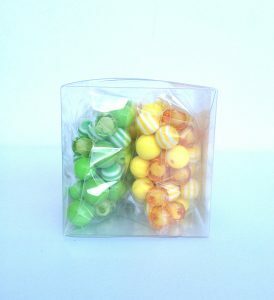 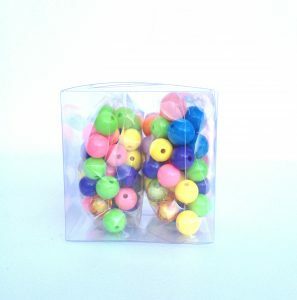 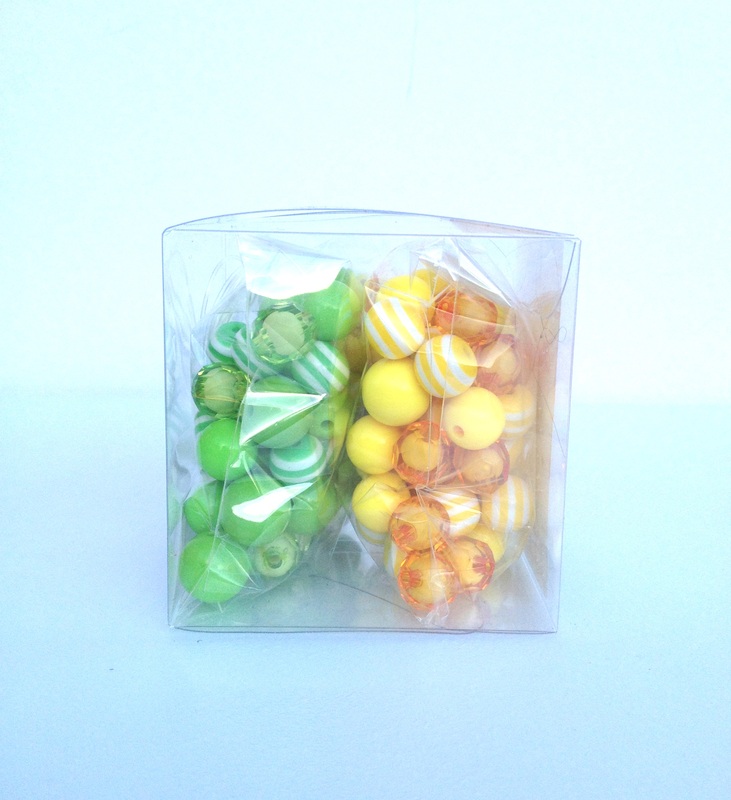 Kit consist of 100 x 12mm quality acrylic beads, 20 x 14mm quality acrylic beads, 1 meter elastic plus instructions. 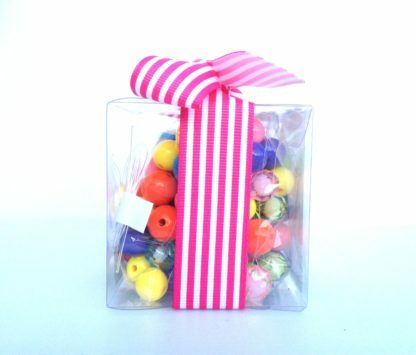 Packaged in a clear gift box complete with a ribbon. 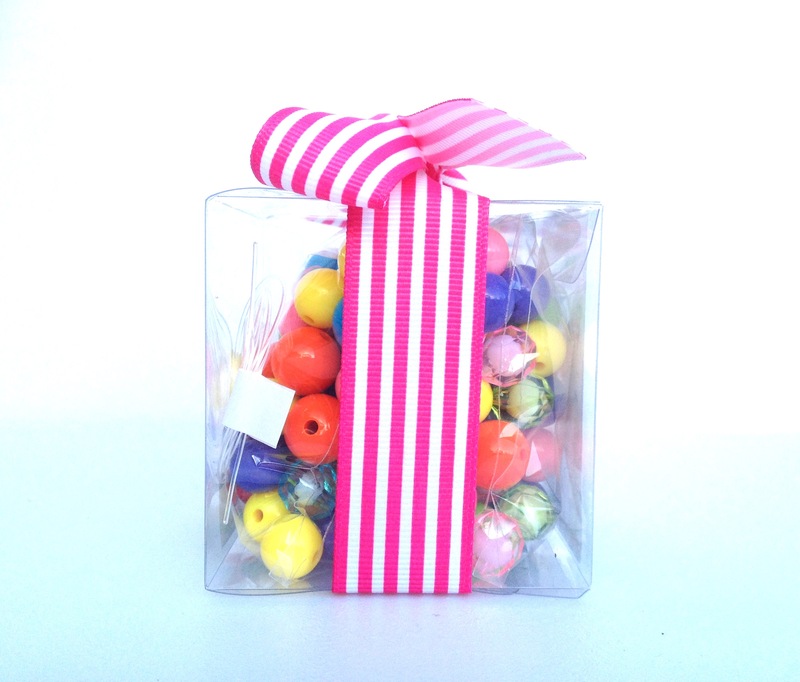 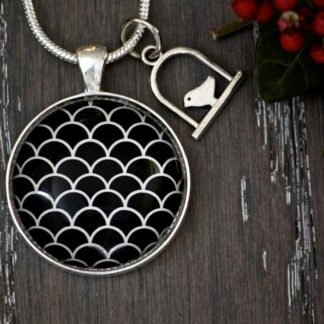 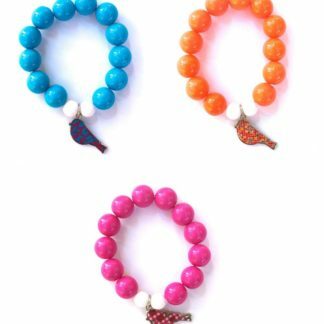 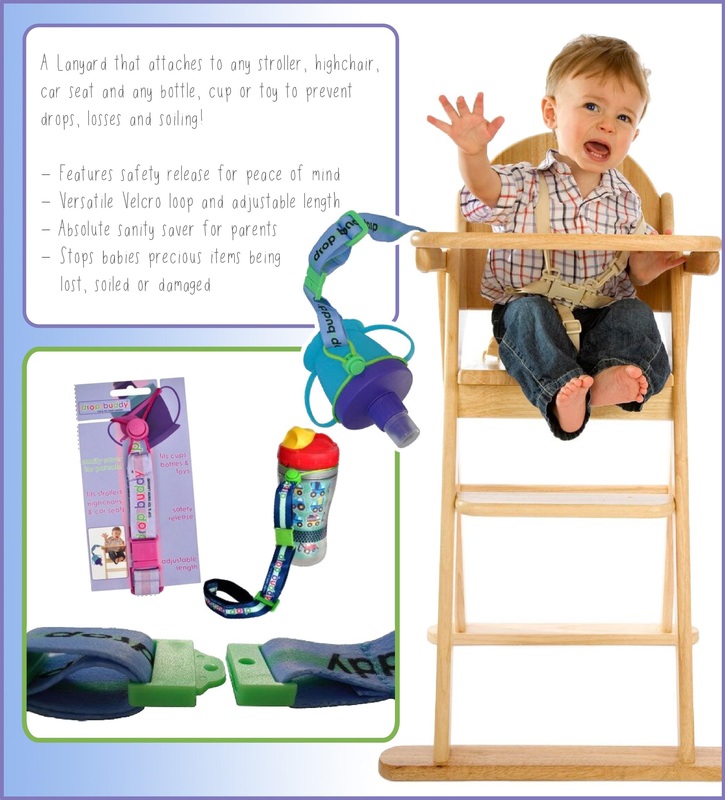 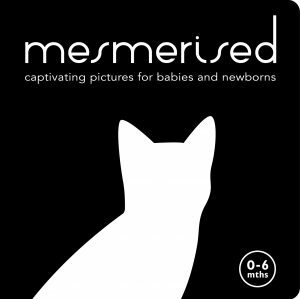 Perfect for gifts, party favours or stocking fillers.